Participants on the emCETT Blended Action Research programme will be participating in a range of face-to-face and blended learning activities. 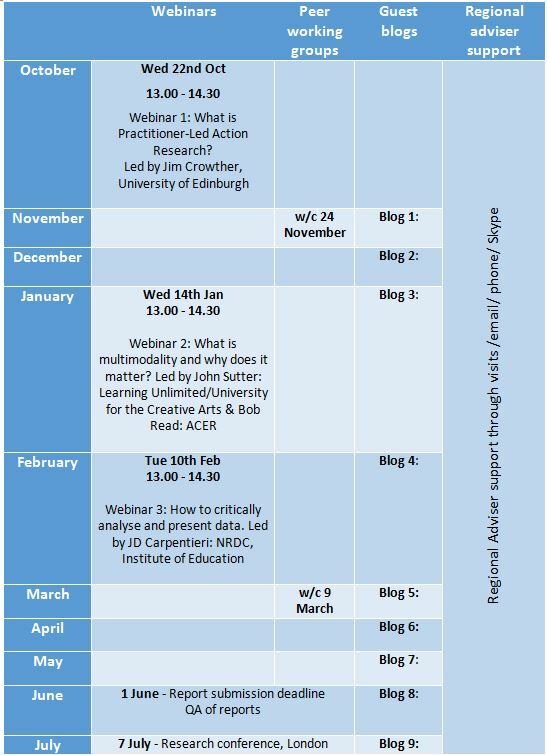 This calendar shows the schedule for webinars, peer working groups and guest blogs. All practitioner-researchers can access 1:1 support from their Regional Adviser at a time and medium to suit.